Members of “This is a Test” at dress rehearsal including in front Leah DeCecco and Shandi Austin. On Saturday, Feb. 28th Brockton High hosted one of the fourteen preliminary rounds of The Massachusetts Educational Theatre Guild’s annual High School Theatre Festival. 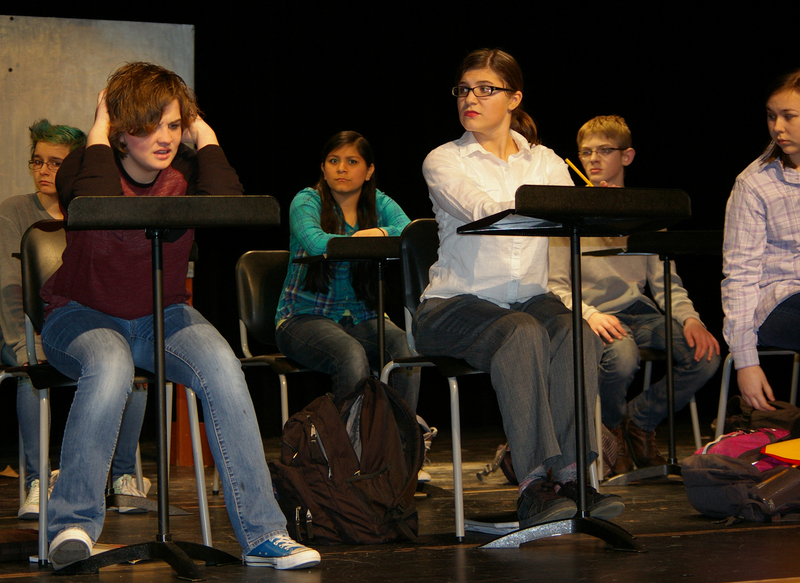 Eight schools performed a variety of both comic and dramatic one act plays in a strict time limit of 40 minutes. Rockland High School was one of these eight and performed a fabulously done and amusing run of “This is a Test,” a one act play about Alana Lefenfeld (played by Leah DeCecco) and her struggles with her crazy sophomore midterms, cheating classmates (Shandi Austin, Sean Vo, Morgan Foster, Genesis Rojas, Kalee Lucier-Hill, Rebeca Portela, Rebekah Panaro, Ryan Mott, and Jeremy Bradley), biased questions, a mean teacher (Meghan Nunn ) and the annoying voices stuck in her head (Sophie McLellan, Lauren Illes, and Jurnee Dunn). It was a great time for everyone who attended, and Rockland High students even became friends with many of the students from other schools as they hosted a dance party at the beginning of the day to get everyone together and excited. 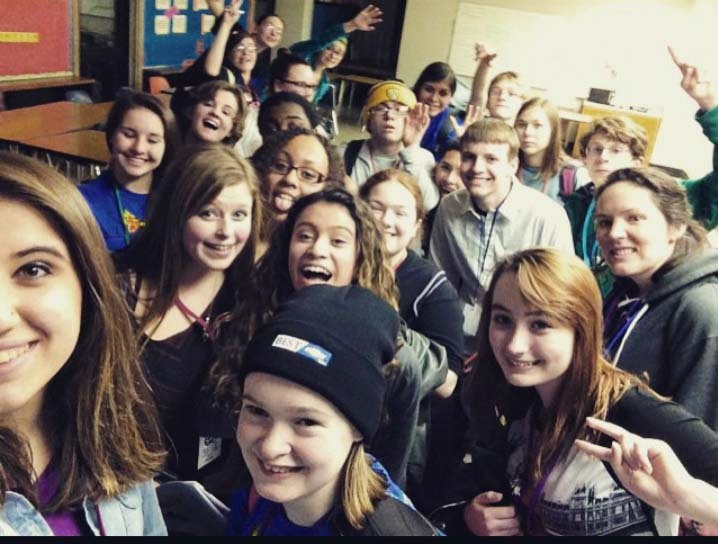 “This is a Test” cast selfie. Photo credit: Madison Parlee. Although Rockland High did not move on to the next competition, according to the judges’ comments on Rockland’s score sheet, they were very close. Leah DeCecco won an All Star award for her phenomenal, relatable acting, which after all her hard work she truly deserved. Ryan Struzziery, the voice, also received an award for his comedic timing, another well earned award.